Cosmonauts Spacewalking to Investigate Mysterious Spacecraft Hole « Adafruit Industries – Makers, hackers, artists, designers and engineers! 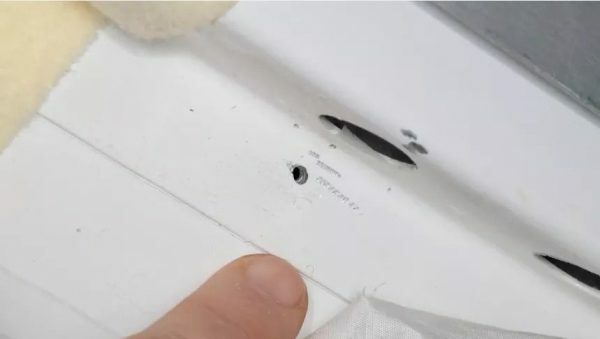 At first, it was thought that the hole may have been caused by a tiny meteorite slamming into the Soyuz. But pictures of the hole showed a particularly clean, round opening — as if it had been made by a drill. And there appeared to be small drill marks next to the hole, too, suggesting the driller had missed a few times. Upon this discovery, Dmitry Rogozin, the head of Russia’s state space corporation Roscosmos, said that an investigation would consider all possibilities for how the hole was made — whether it was done on Earth or in space. That sparked a ton of rumors about possible astronaut sabotage, and Russian tabloids even suggested one of the American astronauts did it to force an evacuation of the ISS to help a sick crew mate.